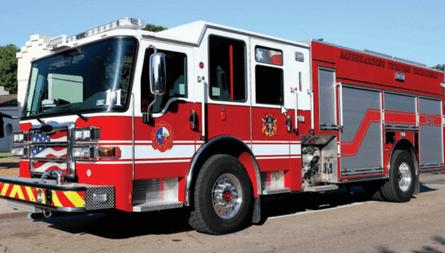 Pierce Fire Trucks for Sale and Service in New Jersey! Fire & Safety Services has been representing Pierce since 1977, so we know a thing or two about these trucks. We cover the state of New Jersey and are the authorized service center for the state. There is no longer standing continuous relationship between a manufacturer and dealer in the state of New Jersey, and we’re proud to represent the Pierce line. For over 100 years, Pierce has been manufacturing trucks built around innovation and quality. 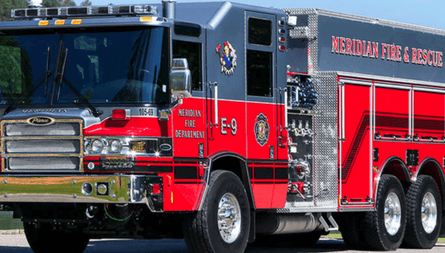 Let us help you find the perfect Pierce fire truck for sale to fit your department! Which Pierce Model Is Best For you? 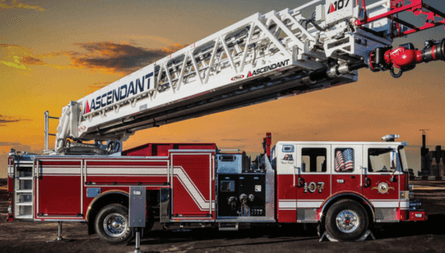 Aerial Ladders are used in some of the most dangerous situations, so you need an apparatus that you can count on. These units are built to work in the most treacherous weather conditions without fault. The egress can be replaced easily if necessary; this means you can just replace it instead of replacing the entire fly section. All wires are routed inside the sealed base rails and, no matter where the ladder is positioned, the turntable is easily accessible. Pierce offers Walk-In and Non-Walk-In Rescues that are built with your crew in mind. Non-Walk-In Rescues use every viable inch for storage space for any major rescue system. Pierce’s various Walk-In units are customized for whatever you need – personnel transport, rehabilitation, or incident command. The interior is designed to maximize storage, along with the capacity to integrate complex network and radio systems. 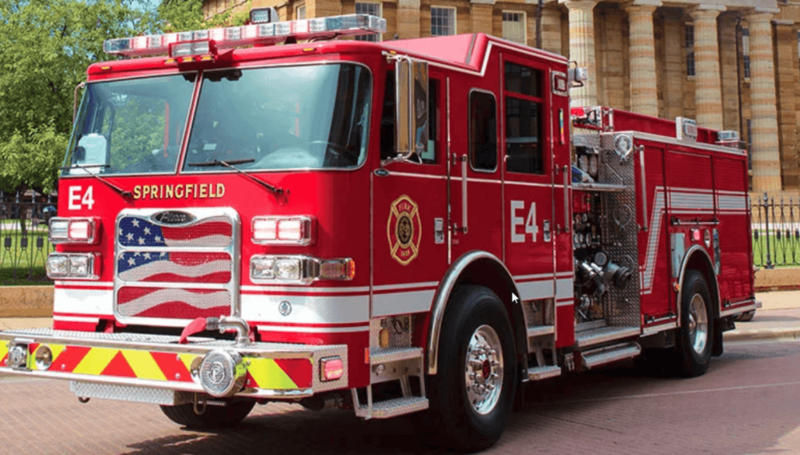 Pierce offers the most customization for your pumper, with a variety of body features, storage options, and compartment spaces. Pumper trucks come in Pumper, Rescue Pumper, Heavy-Duty Rescue Pumper, Responder, FCP Pumper, Mini Pumper, and Oshkosh® XP configurations. 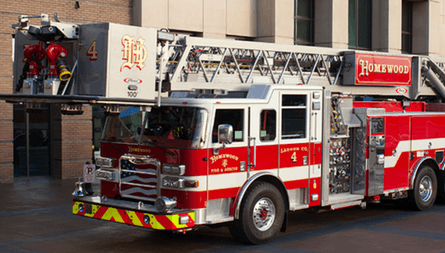 The Pumper comes with virtually limitless plumbing options to meet your department’s needs. Pumper Trucks also features Pierce’s Control Zone organized pump panel, to save time when every second counts. Aerial Platform units are ideal when water flow and payload are essential. This apparatus is designed to improve safety and performance to make it easier for firefighters to get the job done while keeping victims safe. The Pierce basket leveling system provides smooth leveling throughout the full range of aerial operation. The basket is fully illuminated for improved visibility. The Pierce Aerial Platform allows for high and low reach, even at extended angles. Pierce offers a variety of Tankers to meet the needs of any department. When your department needs an apparatus for water transport and on-the-spot firefighting, Pierce’s Tankers are here for you. 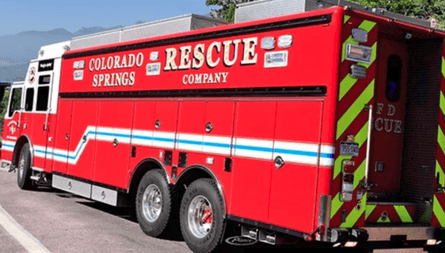 Each tanker has virtually limitless plumbing option, and can accommodate your department’s water, foam, and storage needs. Pierce’s PUC™ Pump is the first modern tilt-cab energency response vehicle that is designed specifically for today’s fire services. The PUC eliminates the pumphouse, allowing you to build your apparatus around your needs – not the pump. The 1500 gpm pump weighs 30% less than most existing pumps and comes with a 6-year warranty. The 2-step technology reduces shift operations while removing traditional grinding and uncertainty of putting a traditional mid-ship pump into gear. This unit showcases Pierce’s dedication to safety, quality, and innovation.